Our expertise in the design and management of water treatment and distribution systems helps us provide clients with reliable, safe drinking water. Water systems are designed to meet the client’s needs while being readily constructible and easy to operate and maintain. Our engineers provide a wide variety of services related to the study, water quality assessment, planning, design, construction, management, commissioning and maintenance of a water system, including municipal water supply, storage, pumping and distribution systems. Projects have involved planning, funding applications, feasibility studies, alternative analyses, water system modeling, permit and licensing application, preliminary and detailed design, construction administration, commissioning and warranty services. We develop and analyze alternatives and provide sound recommendations for the planning and development of cost-effective and efficient water treatment systems. Recommendations are based on the client’s budget and schedule, and regulatory requirements. We’ve also used a number of disinfection technologies including chlorine, potassium permanganate, ultraviolet (UV) disinfection, ozone, and chlorine dioxide. Water sources are developed and treated to within guideline standards, i.e. Guidelines for Canadian Drinking Water Quality (GCDWQ), Manitoba, Ontario, and Saskatchewan Drinking Water Standards, and Ten States Standards. 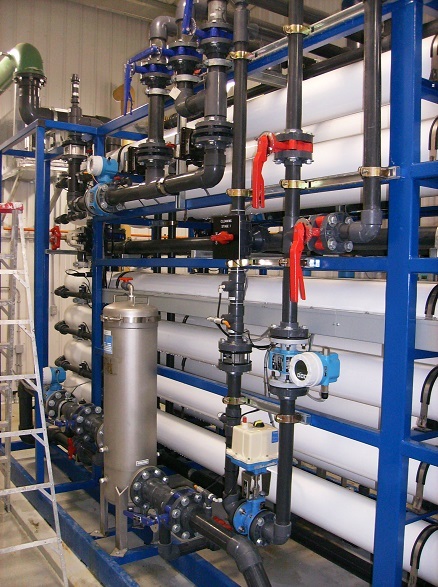 See a selection of our water treatment and distribution work.